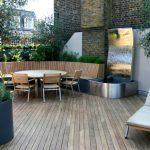 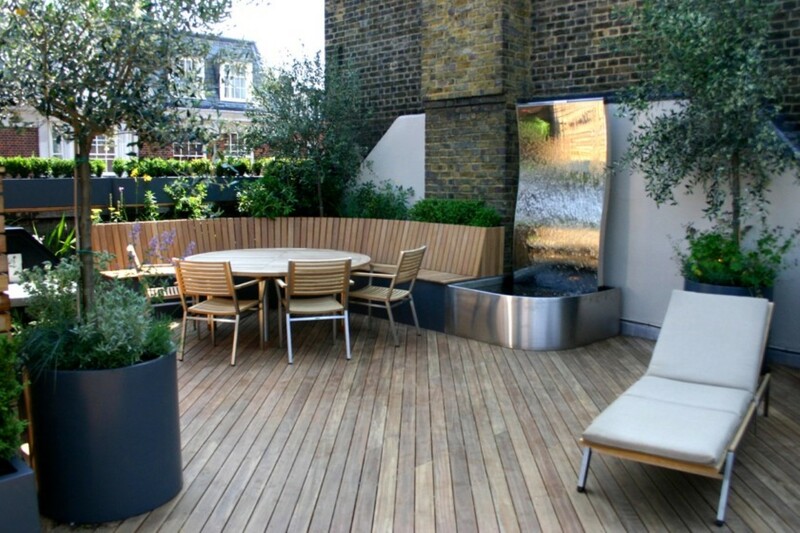 If you have a garden and want to make it looks enjoyable, you need to re-arrange your garden ideas. 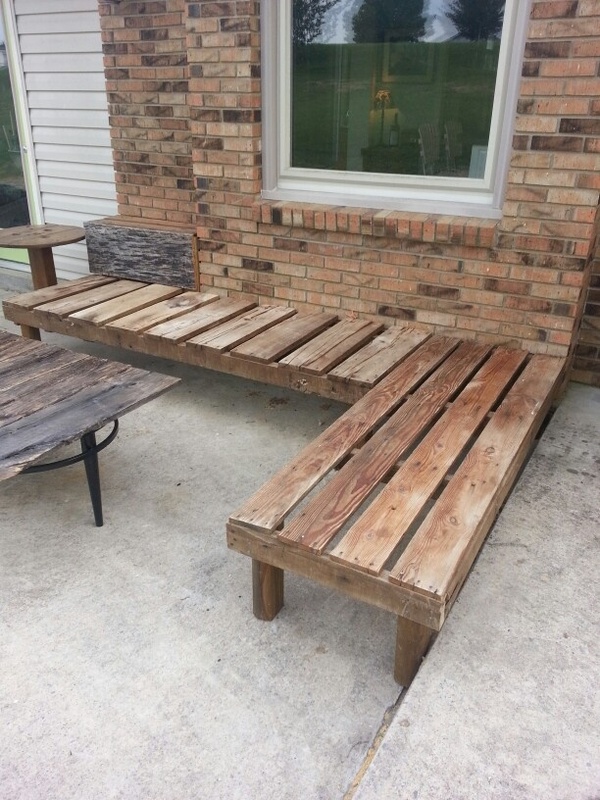 One of them is by decorating an outdoor corner bench. 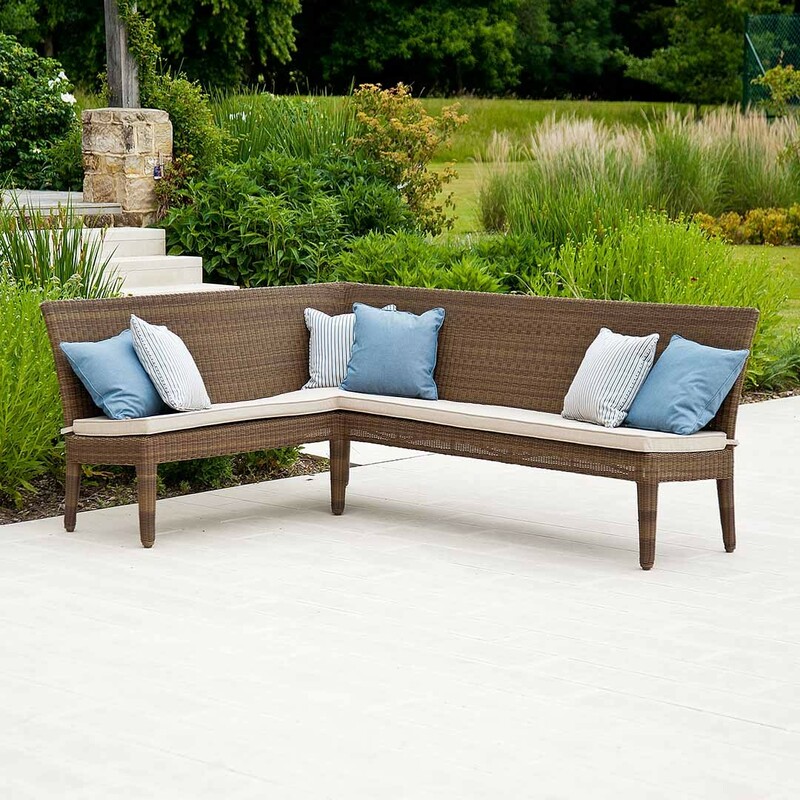 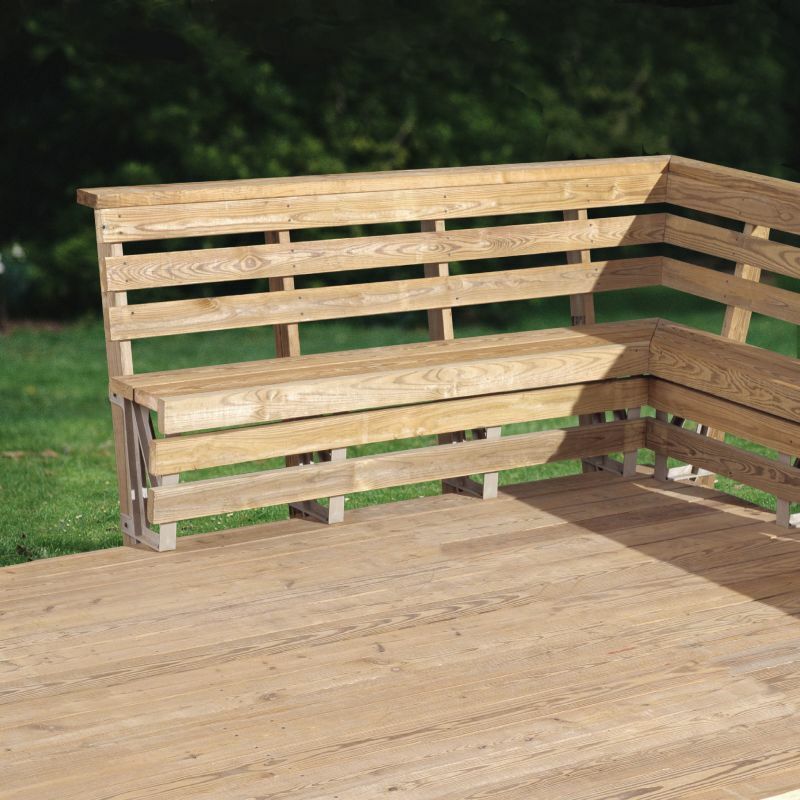 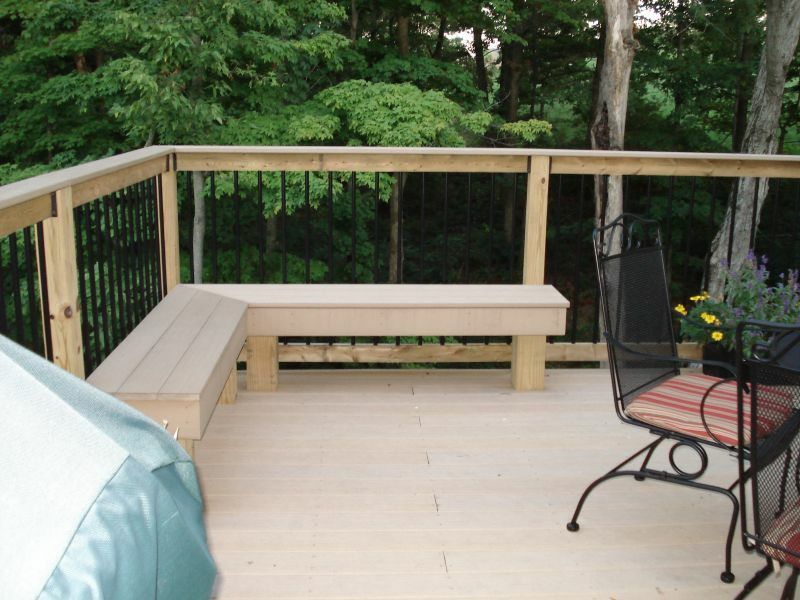 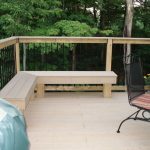 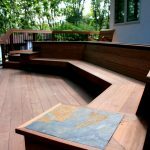 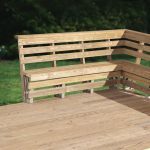 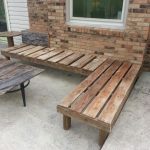 This bench will be a good solution for those who wish to have an enjoyable garden and patio, but have a problem on their budget because the cost spending for building this bench is much cheaper than buying a lounge or outdoor garden chair. 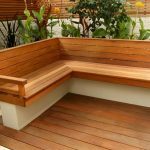 Another reason is that this bench does not take so much space it the garden. 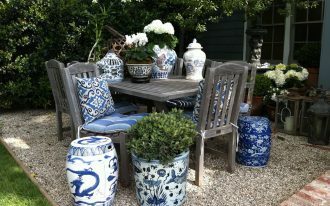 Thus, it is recommended for those who have a limited space in the garden or patio. 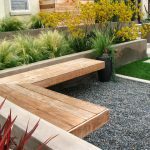 Here are several concepts of garden with corner benches that will upgrade your boring garden. 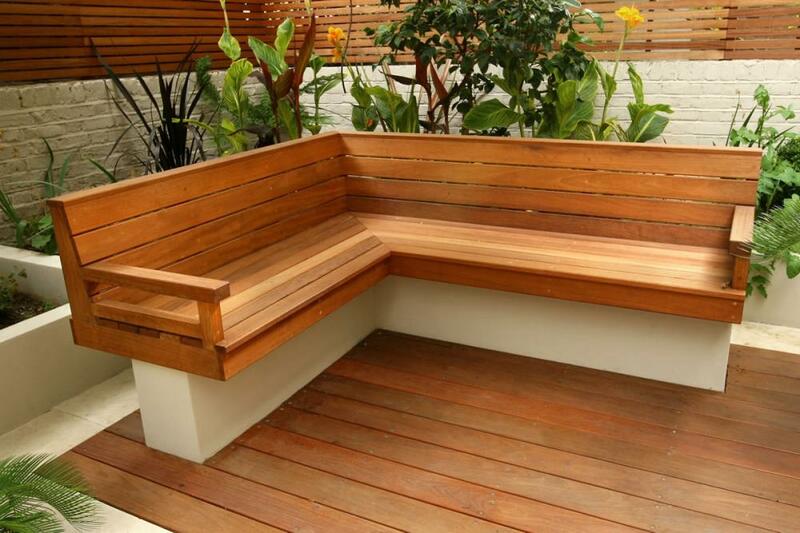 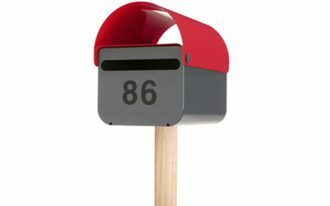 You possibly will be interested to have a cool potting bench, which mounted on the concrete wall. 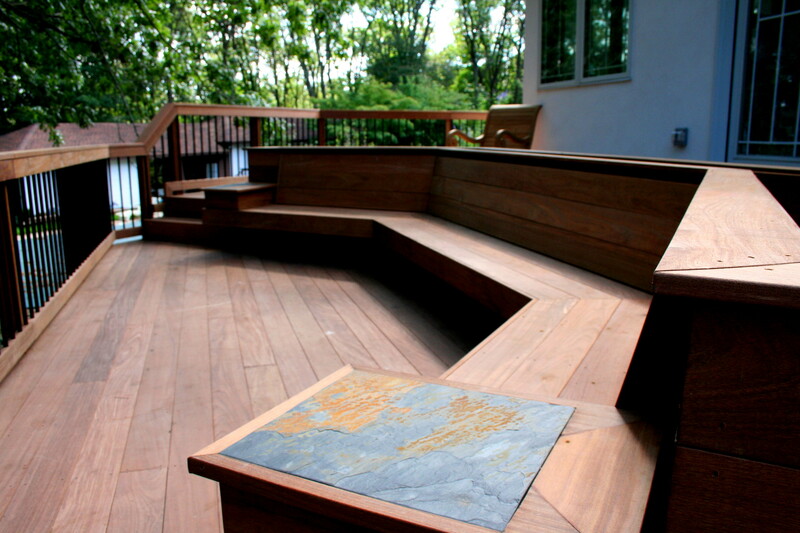 In that bench, you can enjoy the scenery of the garden. 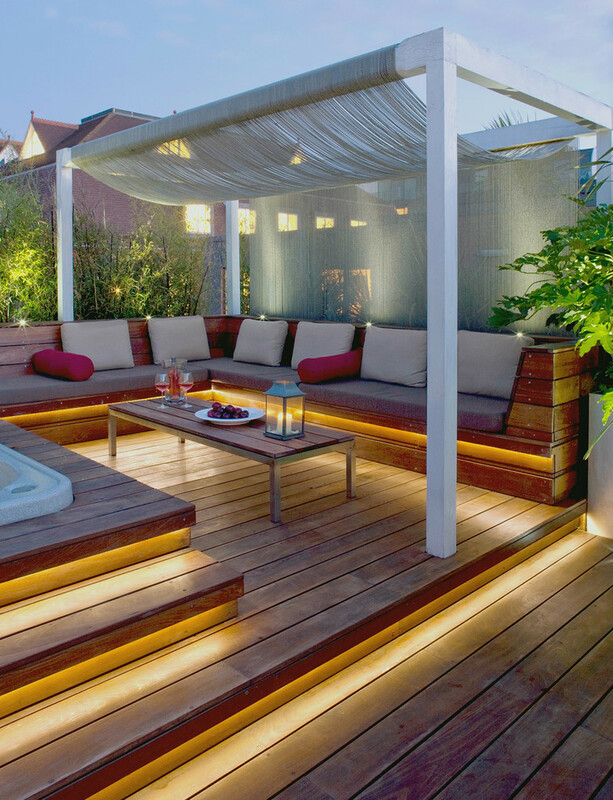 To get energetic atmosphere, you can plant colorful flowers and plants in your garden. 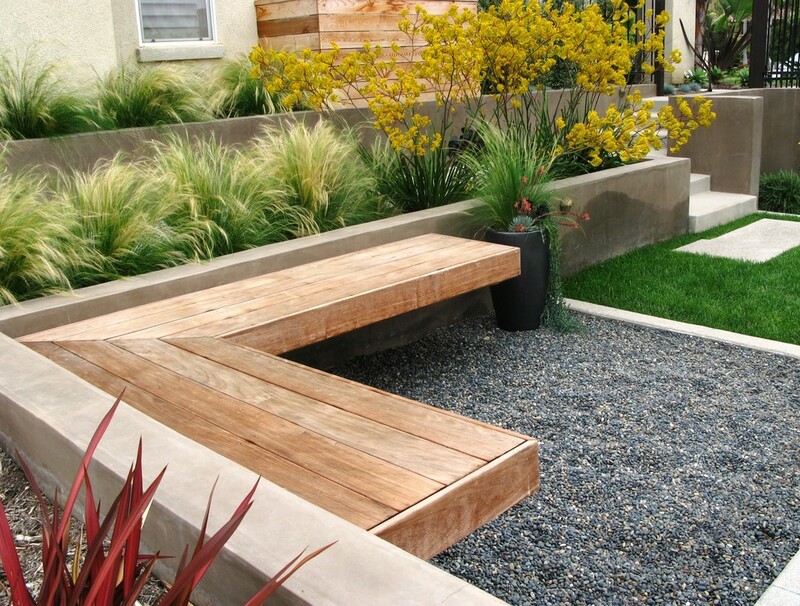 You can also consider about arranging some natural pebble stones and also green grasses for harmoniously chic garden. 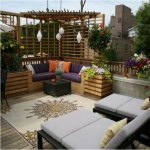 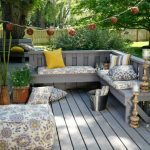 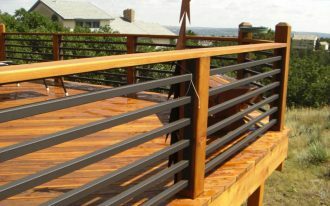 For those who do not want to have an ordinary garden or patio concept, you can get the inspiration from corner outdoor pergola benches presented in the picture. 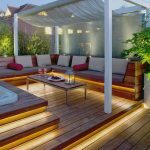 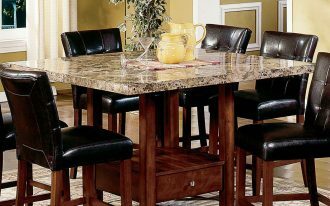 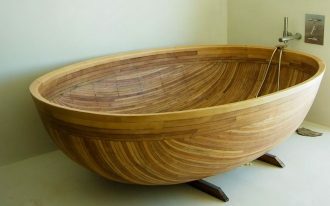 For sure, you will get an exciting moment in that beautiful relaxing space. You can also beautify the remaining space in your garden with some tropical and colorful flowers. 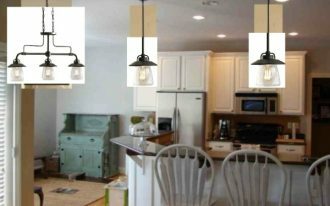 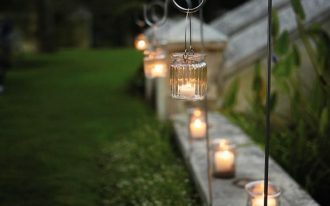 To get romantic nuance at night, hang some lantern lamps on the top of the pergola. 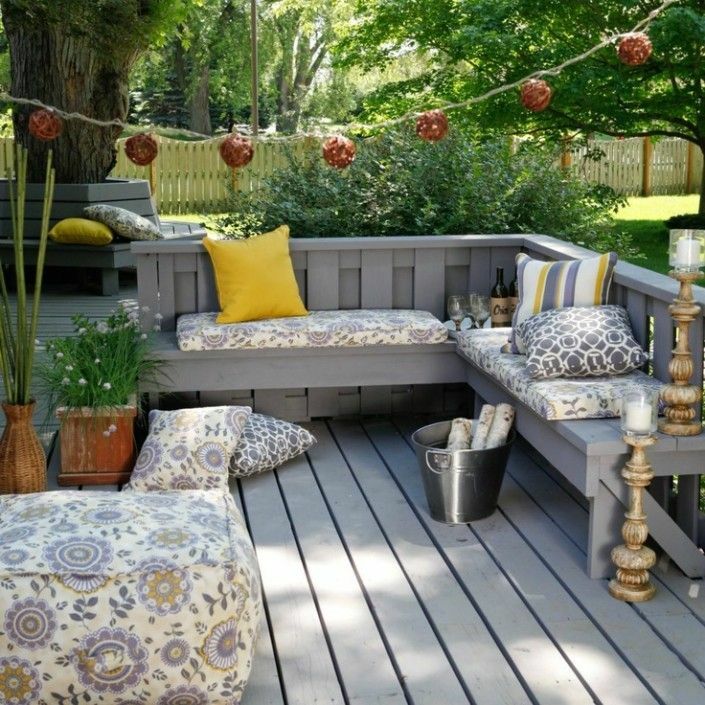 Then, if still there is an empty space, you can think about decorating a lounge outdoor chair. 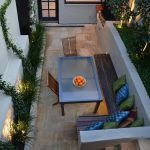 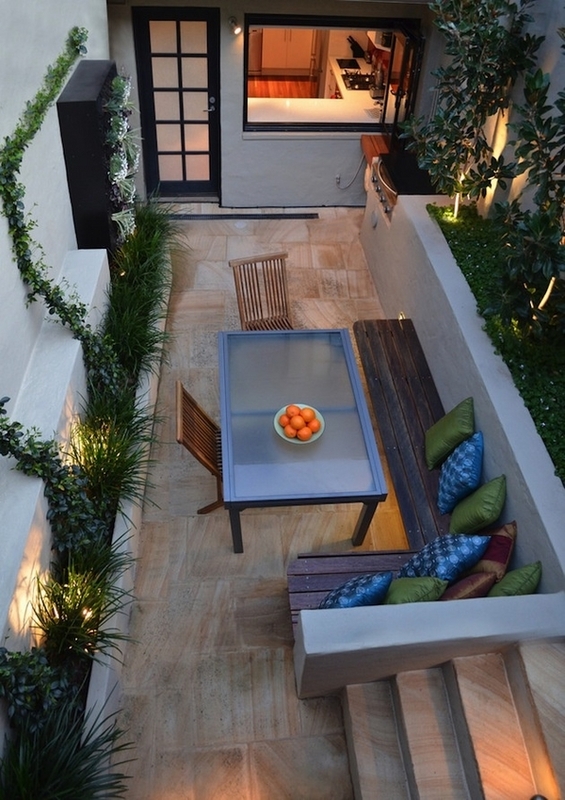 For the last touch, put a square outdoor rug to get joyful space for entertaining or family gathering.